Joe Hisaishi will present his best-known movie scores at a concert in Beijing, dedicated to children who suffered in Japan's March earthquake. Chen Nan reports. Japanese composer Joe Hisaishi will take center stage to present the music he created for animation master Hayao Miyazaki, at a major Beijing concert. 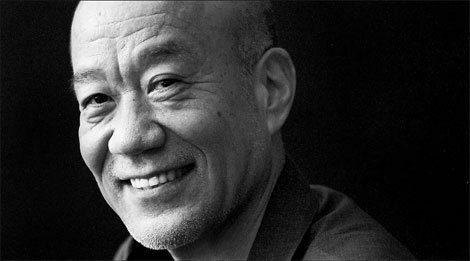 The conductor and composer of more than 100 film scores, Hisaishi is best known for his collaborations with Miyazaki, since 1984. He has composed most of the scores for his films, such as Castle in the Sky and Spirited Away. 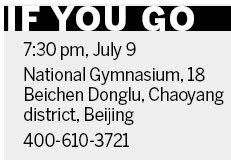 Though he has twice previously performed symphony concert pieces in Beijing, Joe Hisaishi's Movie Gala, on Saturday will be the first time he presents his own film scores. Hisaishi will conduct 200 musicians from the National Ballet of China Symphony Orchestra, China Broadcast Symphony Orchestra and China Broadcast Children's Choir. He will also give a solo piano performance. His renowned works include the theme music for director Yojiro Takita's Academy Award-winning film Departures, and soundtracks for Chinese director Jiang Wen's Sun Also Rises and Let The Bullets Fly. Hisaishi says the concert - together with other concerts in Tokyo, Paris and Osaka - is dedicated to the children who suffered in the Japan earthquake in 2011. "When I visited the children after the earthquake, I found they needed help to recover from the nightmare. Japan has received lots of international help and as a musician, I kept thinking what I could do for them," the 61-year-old musician says in Beijing. "I grew up accompanied by music. It heals my wounds and makes me happy. And music is the best way to express myself. So I decided to hold concerts for children." He says the concert will feature a huge LED screen playing scenes from the films he has scored music for, allowing the audience to understand the ideas behind the music. "I never listen to my works at home because it's embarrassing," he jokes. "But I have to listen to them again at concerts in front of hundreds, even thousands of people. I feel good about it and I tell myself, 'the music is great'." Born in Nakano, Japan, he started violin lessons aged 5. He attended Kunitachi College of Music in 1969 and studied music composition. After graduating, he worked with many contemporary musicians and explored his own musical styles. "Though I worked with contemporary musicians, I always wanted to return to classical music, which influenced me most," he says. That's why he now works with symphony orchestras and is a conductor. In 1983, when Hisaishi met the director Miyazaki, they collaborated on the animation, Nausica of the Valley of the Wind, which was a huge hit. They became friends and decided to work on other projects. "That music composing experience is still the most important and unforgettable one," he says. "I felt free and it was like returning to my childhood." Later, he produced music for Takeshi Kitano's film, Brother, and the 1926 movie, The General, which will also be presented at the Beijing concert. For Hisaishi, composing music for films depends on two things: One is to understand the script, the other is to understand the director's sense of rhythm. "Different directors will have different tempos for a certain scene," he explains. "When I write music, I read the script again and again until I find the most touching point." "Animated films require much more detailed musical elements because the characters' facial expressions are less vivid. I need to add colorful music to reflect their characters," he says. Now that he spends more time conducting he says inspiration can come anytime. "I enjoy the process of composing even if it's time-consuming and requires lots of energy. I am the first listener of each work and I feel very happy when I am touched by the music," he says.